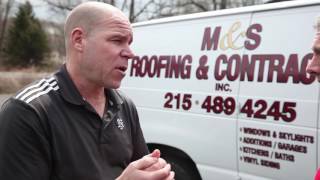 Let us replace your roof in Ambler, PA - 19002! We have been serving Ambler, PA with quality roofing installations (repairs and replacements) for more than 30 years. We look forward to hearing from you about your next project, and are happy to help you with any roofing issue you may have. How do you know that your roof is leaking? There can be obvious signs, but some aren't quite so obvious. During a rainstorm, water may leak into your home or office and into view, but some are hidden are harder to find. 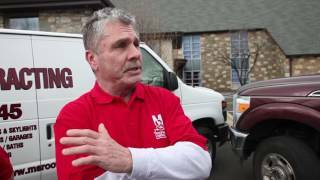 New leaks sometimes can only be heard on your sheetrock or ceiling above. A tell-tale thumping with each drip may be heard above you, and when this sound is heard, it is time to call us. We may be able to stop a leak prior to it doing further damage to the interior of your home or office, so the time to act is now. How do we find roofing leaks? Finding a leak in a roof is tricky business. We are experienced professionals who pride ourselves on the fact that we have the skills to solve your roof's problems quickly and conveniently for you. Even if the leak is not obvious, is moving laterally under the underlayment and decking before entering your building, our team is here to solve your problem. Call us today and we will be happy to help. We know that you have other options when choosing a roofing contractor. But choosing an established roofing contractor who has been serving you for more than 30 year and has a long list of satisfied customers takes the guess work out of your next project. Installing a shingle roof properly is more than just reading directions. You need a contractor who is experienced with all facets of your project to ensure that your roof is installed properly the first time. This includes knowing how to deal with rotten decking, odd roof angles and any surprises we may find. We don't do anything half-way, so you can trust that your roof will protect your home for many years to come. 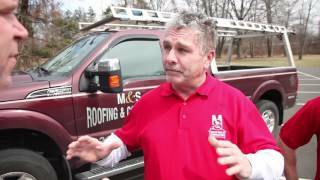 M&S Roofing and Contracting, Inc.